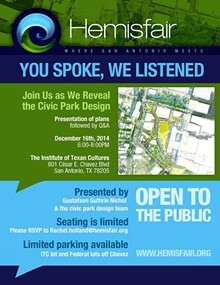 The Hemisfair site is being transformed into an urban district with multiple parks, residences and local businesses. The vision of Hemisfair is to become one of the world's great public spaces, and the civic park will be San Antonio's central gathering place. 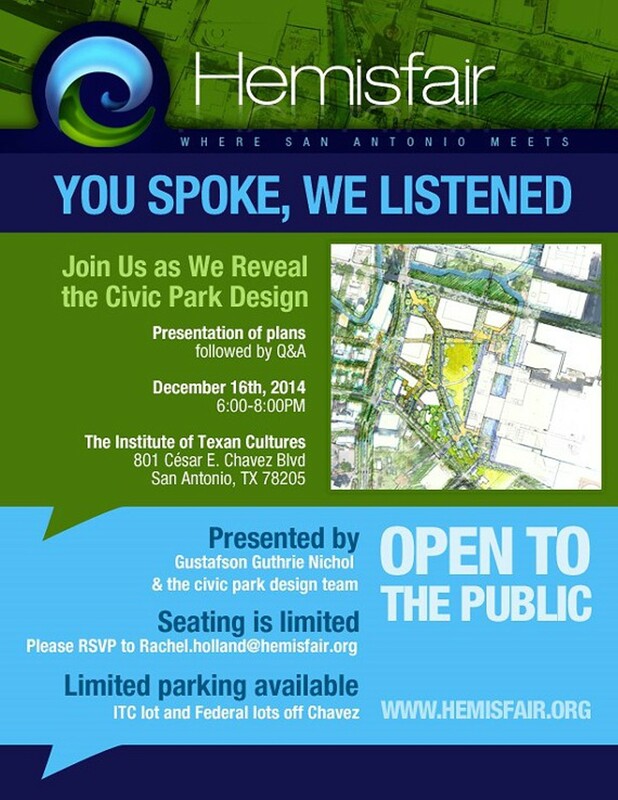 After hundreds of public and community meetings, we invite you to join us as we reveal the civic park design. The presentation of plans is presented by Gustafson Guthrie Nichol, followed by a Q&A.